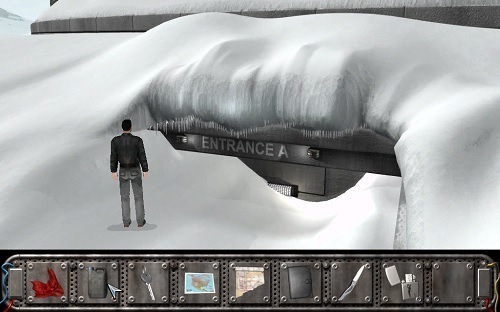 The Moment of Silence is an investigative adventure released in 2005 for Windows. The game is set in the near future (2044) and takes place across New York City. You’re character for this third person point and click adventure is Peter Wright. Peter is severely depressed during your journey due to the recent loss of his wife and child in a terrorist attack. Drowning his sorrows with alcohol he is alerted one night to a commotion in the apartment across the hall only to see his neighbour being pulled out of his residence by a SWAT team. Confused by the series of events players then contact the wife of this man and eventually accept the opportunity to find out the truth. It turns out that he was a freelance journalist with connections to a rebel organisation that eventually leads to government conspiracies being uncovered. It’s an adventure that takes many twists and turns and eventually evolves into something that you didn’t expect. 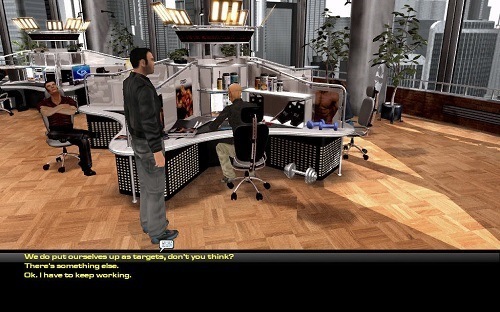 Gameplay uses an old fashioned point and click approach that lets you guide Peter Wright around various environments. By interacting with the environment and people you can progress through the story with plenty of side exploration encouraged to learn more about the game world. The adventure definitely isn’t a short one and pushes double digit numbers. With every piece of dialogue voice acted with a strong cast it’s easy to get immersed into the game that feels fairly realistic. Character motives and backstories are also well-designed to add a larger range of context to characters beyond just your interaction with them. With the freedom to drive the story at your own pace and strong dialogue focused experience fans of the genre will definitely appreciate The Moment of Silence, it isn’t without its quirks and annoyances but they are minor in the overall scheme of things. A point and click adventure. Uncover government conspiracy in a detailed adventure. Nearly double digits worth of story to enjoy. Voice acting brings characters to life. A great twisted ending that you won’t see coming.